Here's what I've been reading lately! 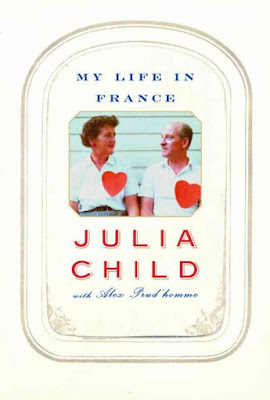 I had always wanted to read My Life in France by Julia Child. I am hoping to travel to France next year to visit my brother and sister-in-law who just moved to the Provence region. This book got me excited for that trip and I can't wait to explore the region. I also loved hearing more details about Julia's life. At times, the book did feel a little slow and too detailed. I did enjoy it overall and would recommend it to anyone curious about her life. Reading this book inspired me to add more autobiographies, memoirs, and biographies about women to my library request list. I guess I was feeling a little feisty and more feminist after the election. Onto a book about a great man, Hamilton, which is also such a trendy topic right now. 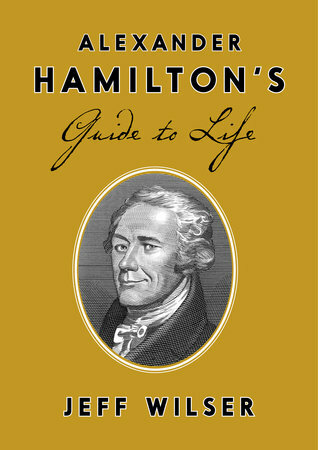 Thanks to my relationship with Blogging for Books, I received a copy of Alexander Hamilton's Guide to Life by Jeff Wilser. Even though I studied History and Political Science in college, I couldn't remember all of the wonderful things Hamilton had accomplished before his life was cut short while dueling Aaron Burr. Now I feel like I know so much about this Founding Father. I think Wilser made the topic enjoyable to learn about. He injected humor and fun facts throughout. I also liked how he included information on how the history portrayed in the Broadway show is slightly different than what he discovered in his research. Buy this for the Hamilton fans in your life and put it under their tree this holiday season. Can't resist snapping a photo of the moon with hawks in our trees. The cats have grown accustomed to sitting by the fireplace this winter. When we're home, we turn it on about three times a day. It's freezing in our house! Just showing my support of Penzey's. Their owner spoke out about the election and I fully support what he said. Love their spices. I was pretty close to putting this in my Target cart. It's perfect--this nutcracker sort of looks like Pema and has a mouse in his hand. I love that it says "presents meow!" First natural mascara purchase. Love it so far. The reviews said it smudges, but I haven't had that problem. Maybe because it's winter? Adventures in pre-teen/teen sitting! I took pictures of my nephews and Craig all around the mall. My sister-in-law had surgery, so we took the boys out to dinner and shopping. Thanksgiving lunch at my mom and dad's. Mom made Shutterbean's delicious Pecan Topped Sweet Potatoes after I sent her the link. I love sweet potatoes! My nephew has a nerf gun hoarding problem (we counted over 70 between him and his brother when we were at their house). What a strange, but smart marketing campaign 3M. I took this to show my family members who work for the company. Indian lunch buffet dessert, my love, and a really cool light. To nice. Saturday marked the 3rd anniversary of when we brought home the littlest boys. Can't believe how quickly time has flown! I guess that's because they are so much fun. Picked this up at Whole Foods yesterday and it's delicious, of course! After five days off of work, I am not ready to go back! I guess a routine will be nice again, but I love having all day to do what I want. 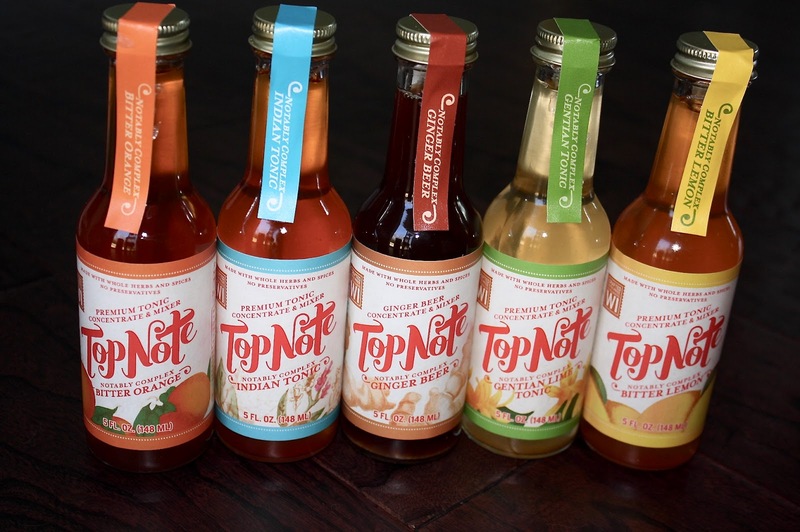 I love trying locally made products and was excited to check out Milwaukee based Top Note Tonics. The tonics consist of three main ingredients--water, sugar, and herbs. 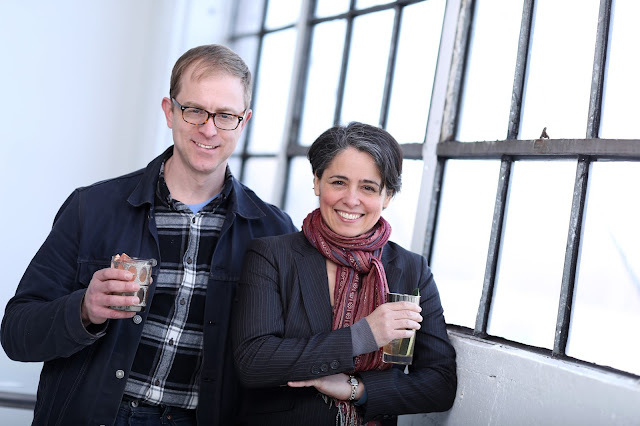 Founders Mary Pellettieri and Noah Swanson started La Pavia beverage company in 2014. Both have extensive experience in the beverage business. They feature numerous drink recipes on their site, but the possibilities are endless. Mix the tonics with carbonated water for a soda or mocktail or with alcohol for a cocktail. They would be great to have in stock for a party and would also make a great gift! Five flavors are available: Bitter Orange, Indian Tonic, Ginger beer, Gentian Lime tonic, and Bitter Lemon. I enjoyed the refreshing flavor of the vodka bitter lemon cocktail. Build drink in a collins or rocks glass. Add ice. Garnish with lemon peel. Top Note Tonics are available in 10 and 25 oz. bottles. They retail for approximately $10 and $22 and can be purchased online and at select grocery and spirit stores. 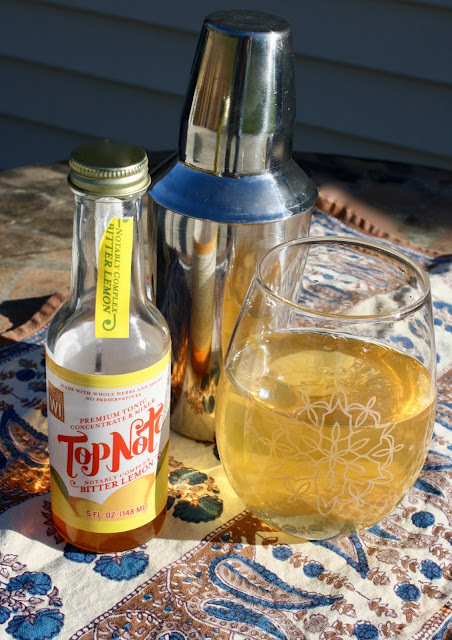 Thank you to Top Note Tonics for sponsoring this post and providing the products for my review. Disclosure: The products in this review were provided to me by Top Note Tonics. All opinions are my own. Do you need to stock up on some lovely scented and effective cleaning products for the upcoming holiday season? 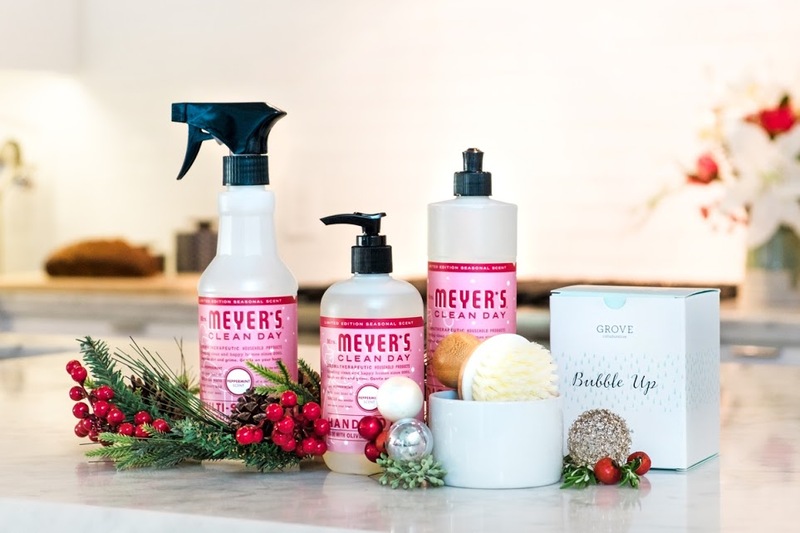 Grove Collaborative has you covered with their new Mrs. Meyer’s Holiday Set — and they want to send one to you for free, too! The set includes a Mrs. Meyer’s dish soap (Peppermint or Orange Clove), Mrs. Meyer’s hand soap, Grove Collaborative Bubble Up, and Grove Collaborative kitchen towel. I currently have the hand soap in my kitchen and I love how festive it smells! 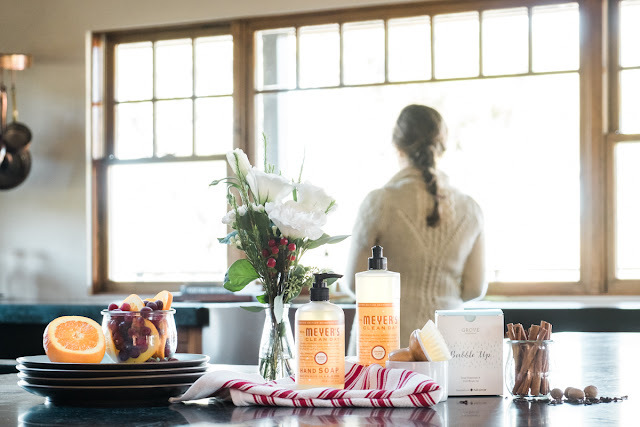 If you aren't familiar with Grove Collaborative, it’s a subscription service that makes creating a healthy, beautiful home effortless and affordable. I can choose my favorite products from brands like Mrs. Meyer’s, Seventh Generation, and Method, and Grove delivers them right to my doorstep, on my schedule. New Customer Offer valued at over $35: Click here to redeem this offer! Are you an existing Grove Collaborative customer? Enjoy receiving the Grove bubble up for 50% off! Click here to redeem this offer. Don’t forget, this limited offer from Grove Collaborative ends November 21 so grab your free Holiday Set now! 1. Sign up for Grove Collaborative using one of the links above. You’ll receive the Mrs. Meyer’s offer for free when you sign up! If you’re already a customer, you’ll receive the Grove Collaborative Bubble Up for 50% off. Week 45 started with Halloween. I am not a big fan of the holiday, but this cat fan can't resist wearing cat ears that a colleague brought into the office. Craig got his 23andMe test in the mail! Can't wait to see his results. 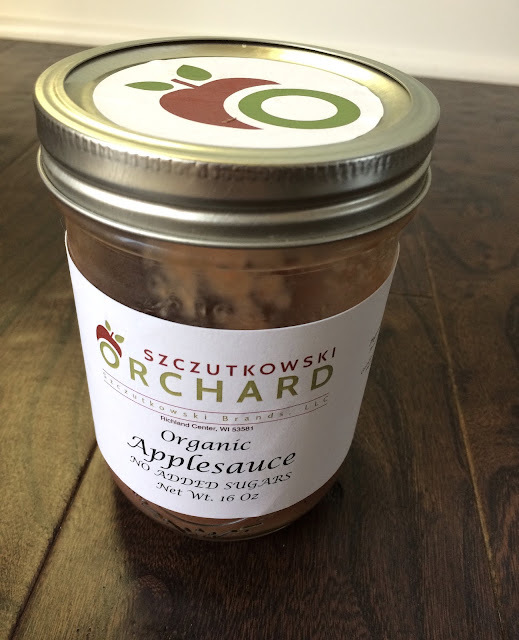 I picked up this local applesauce and it's delicious. I liked that there were no added sugars. 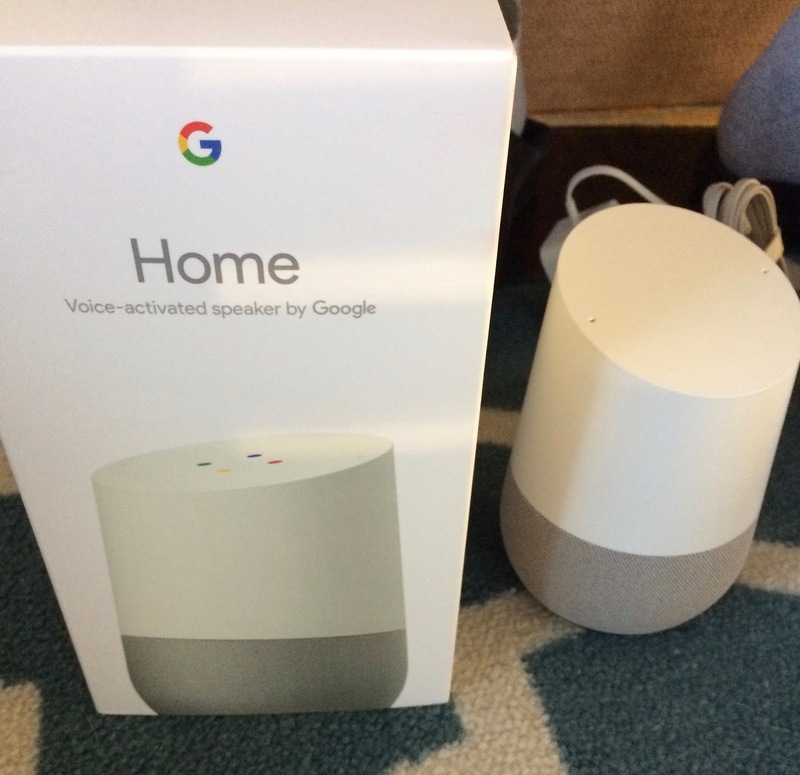 The Google Home came out and my technology loving husband couldn't resist picking one up. It's pretty cool and handy. My favorite thing is the quiz show. I started a plant-based eating challenge the week of Halloween. I actually did really well with it. Then the election hit and I needed comfort food in the form of chocolate. I figured I would just listen to my body and go with it. Tried mulberries for the first time. They're pretty good in overnight oats. Instead of using half & half in my coffee, I added coconut milk. It was a nice change, but I did miss the creaminess of half & half. My view as I went on a fall walk around a nearby subdivision. Love walking through the leaves! Listening to podcasts and wearing my favorite Old Navy workout top in the best color ever. Tofu scramble with spinach, yum. A blurry shadow of Craig cleaning our glass. Last week just depressed me. The happy photo below was taken after we got back from voting. I was excited for a different election outcome. I don't want to be too political, but this is my blog after all and I am entitled to say what I want. As I watched the news, I literally felt sick. How could he be ahead? Who were these people that voted for him and why? Well, they turned out to be people like my own family and friends. I went to bed early that night and woke up at 2:50 a.m. after I had nightmares about him becoming President. I turned to look at my phone and sure enough, my nightmare came true. I shed tears for our country and for those that may be negatively affected by this outcome. Craig and I discussed the results and were angry. Alas, those of us who wanted a different outcome must move on and be positive. I can't wait for 2020 when 40 year old Lisa can vote again. I started an Interior Design class this week and here's my homework. It's really interesting so far! I'll never look at a home or commercial design the same again. Kitties always make things better! I spent a lot of the weekend cuddling them and trying to move on. Yoga also helped and I decided I must start practicing it more because I felt like I lost all of my strength! I have followed blogger Luisa Weiss at The Wednesday Chef for a couple of years now and always loved seeing what she was making in her German kitchen. 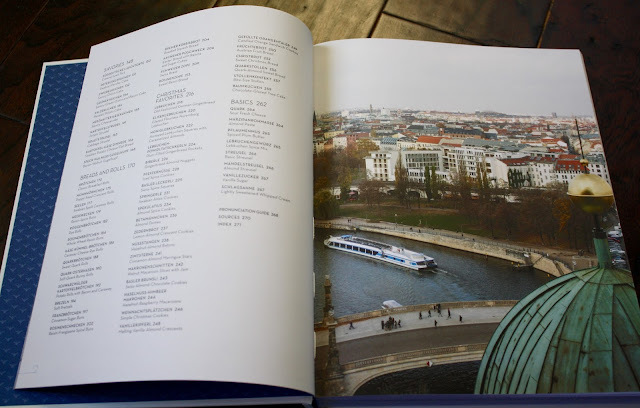 I read her first book, My Berlin Kitchen, right before I went on my third trip to Berlin. 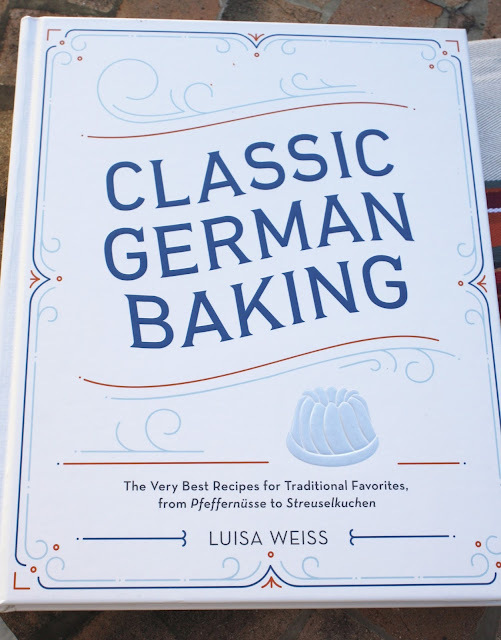 Her latest title is a beautiful cookbook entitled Classic German Baking and it boasts more than 100 recipes. I was excited to receive this because I truly love German treats like bienenstich kuchen, strudel and pretzels! I also love thinking about how my German great grandparents may have made some of these recipes in their own kitchens. Luisa includes helpful information on the ingredients in the recipes, like explanations on quark, marzipan and more. I also really liked her sections on basics, the pronunciation guide, and sources. The book offers beautiful photographs of the recipes and of the city of Berlin, which was completely unexpected and wonderful! It brought me back to my many travels there and made me long to return someday. It is clear that Luisa put a lot of time and thought into this second title of hers. Beautiful and ever changing Berlin. Bienenstich kuchen! I am obsessed with this cake and have yet to make it myself. I definitely want to test this recipe out on a cold winter day when I have more free time to bake and a honey almond cake will taste comforting. 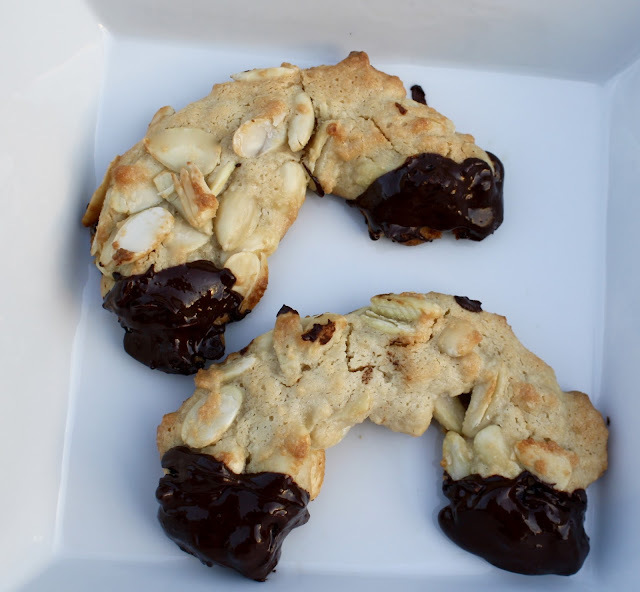 When I saw the mandelhörnchen recipe, the combination of marzipan, almonds, and chocolate captivated me. I fell in love with marzipan when I lived in Europe. It's so good! Like all of the recipes in the book, the almond crescent cookie recipe was easy to follow and make. 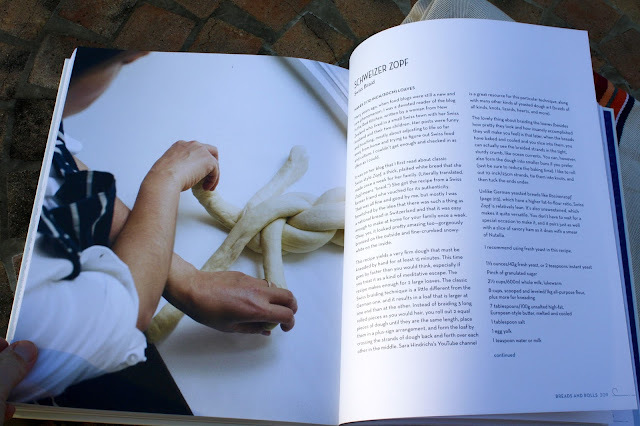 I also like that Luisa weaves in various stories about the recipes. For example, she states that mandelhörnchen are a common after school snack for German children and not that many people bake them at home because they're so easy to find in your local corner bakery. The finished product was delicious! 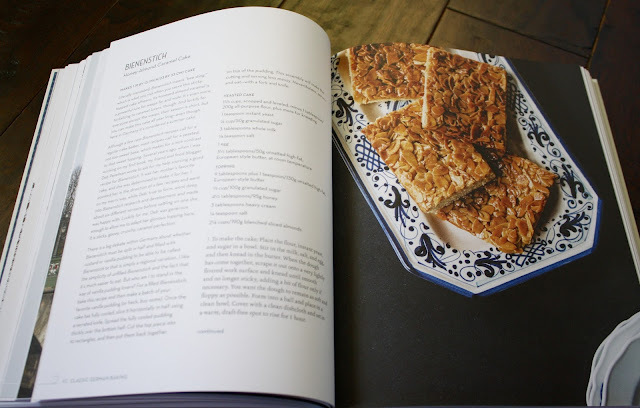 I look forward to getting in the kitchen and making more recipes from this wonderful cookbook. 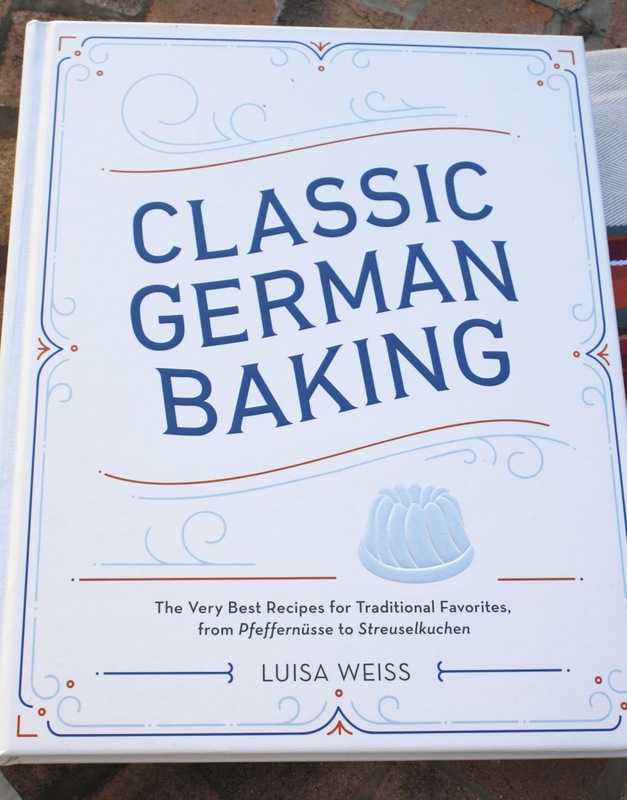 I highly recommend it if you're looking to make some German favorites in your own kitchen. 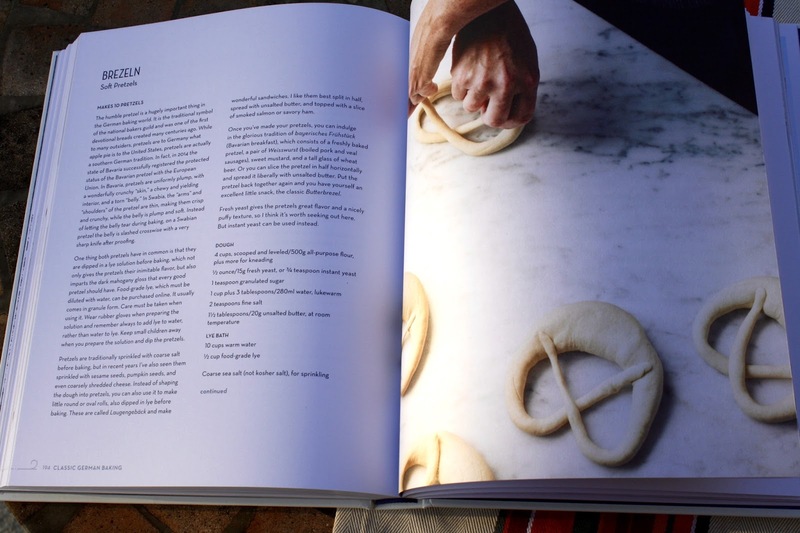 This would also make a great Christmas gift for the baker in your life! Disclosure: I received this book from Blogging for Books. All opinions are my own. Catching up on what the last two weeks looked like! See the hawk I was stalking with my binoculars up in the tree? There are less trees on our leaves now and I can more easily watch for birds of prey in our backyard. My colleague and I headed to Sam's Club and she said everyone she shops with poses with the nutcracker, so she snapped this silly photo of me. And can I just say--Halloween hasn't even happened yet and there are already Christmas items in the stores!? Oh America. I went to see Jack Bishop from America's Test Kitchen speak about Cook's Science at Boswell Books! He was an excellent speaker and I learned so much about quinoa, kale, mushrooms, whisking, and more! Here's the quinoa tip--if you buy the prewashed type, wash it again anyway to get rid of the bitterness. 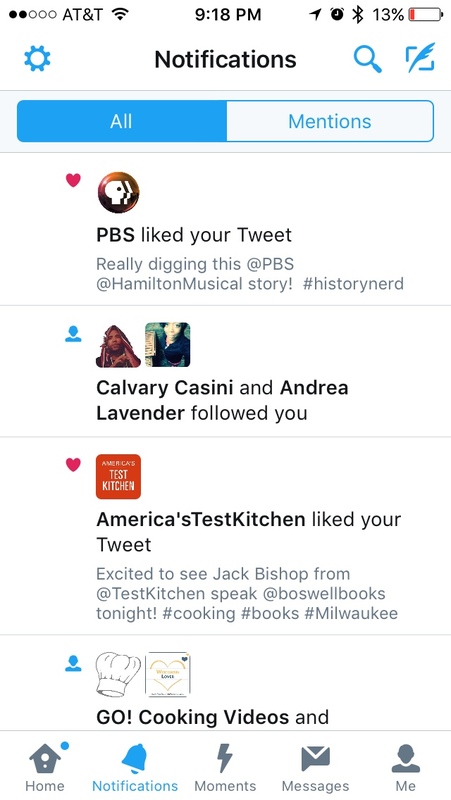 My week was made when America's Test Kitchen and PBS liked my tweets! Have you seen the PBS documentary on Hamilton? I wasn't really interested in the broadway show until I saw it (I love history but I am not a big musical fan)! A Shiva photobomb! Spot the kitty behind the curtain? My parents and I went to watch my nephew play soccer and I played a bit with my other nephew, which was so much fun! Kicking the ball around made me miss playing it. 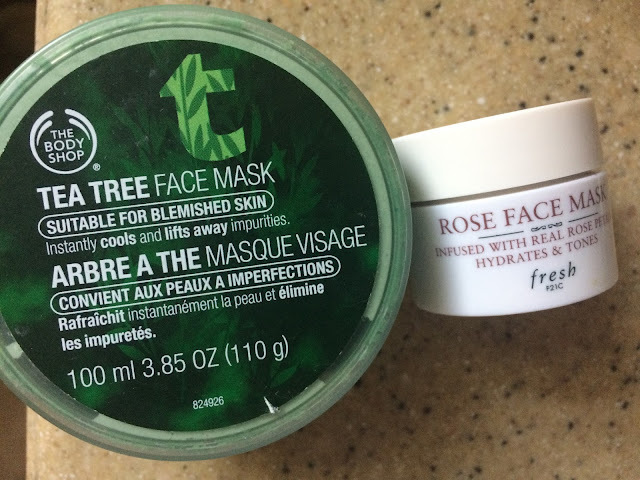 Multimasking with these two types. I am pleased with both masks. The fox statue at our local library and the pile of items I checked out. I started reading Hausfrau and Clearing Clutter. 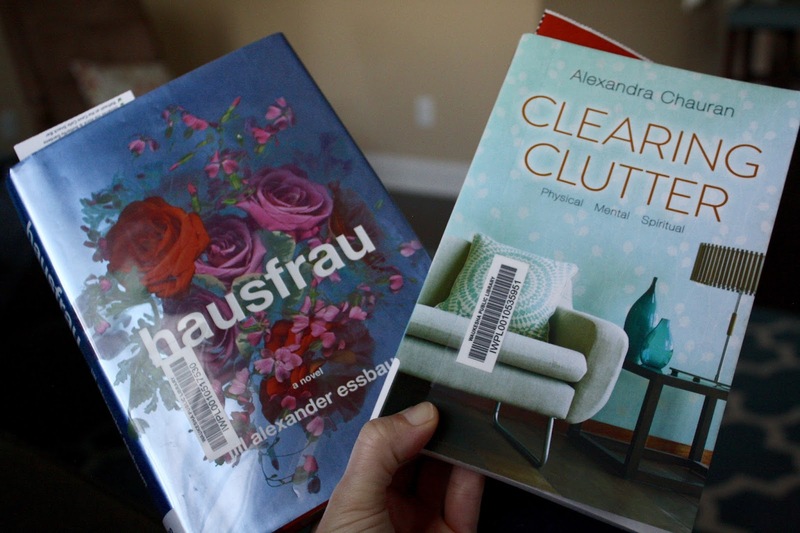 I am almost done with Hausfrau and it's a different fictional read for me. It's set in Zurich, so it's bringing back memories of my many visits there. A beautiful fall day on the Carroll University campus. We checked out their library (can you tell that my husband and I are big fans of libraries). The photo below shall be titled "the things non-profit workers do the day before a very important event, such as learning how to steam aprons." I had so much to do and worked a very long day since I hadn't planned on steaming aprons for a couple of hours. If I were to dress up for Halloween tomorrow, I'd likely wear this costume since I am a huge fan of hot sauce. I picked up this new to me kombucha at Target this week. It was really good! 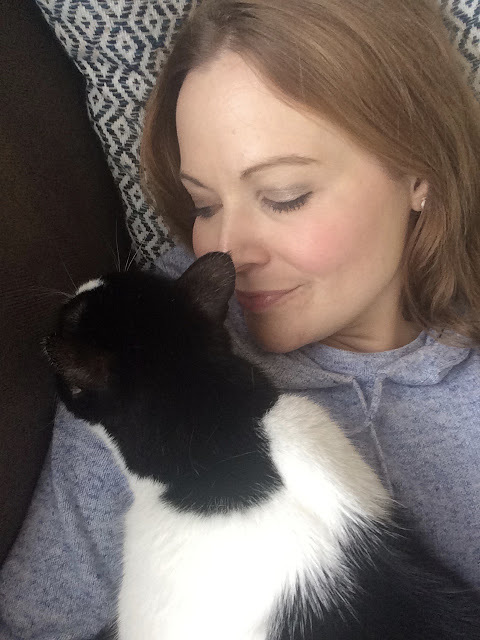 Snuggling with Pema on Friday. I caught two really good programs on PBS yesterday morning. The second one had me glued to the couch for an hour. It was called "Eat Fast and Live Longer." 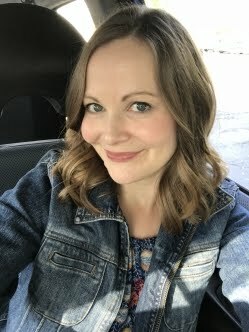 I learned so much about IGF-1, fasting and aging! I highly recommend watching it and I found it on YouTube if you'd like to watch it there.